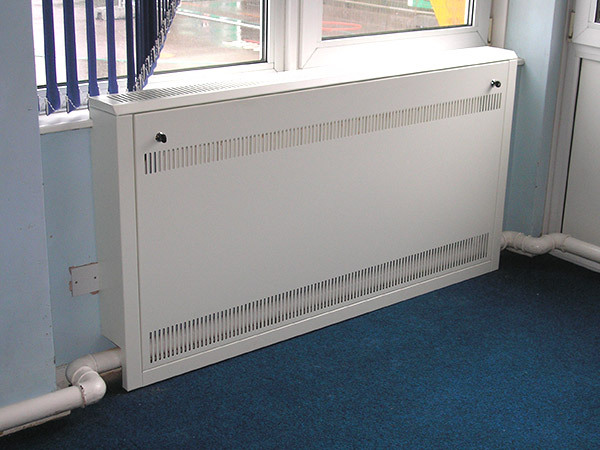 The primary purpose of the LST Radiator Guard is to protect the vulnerable from the hot surface temperatures of the heat emitter. 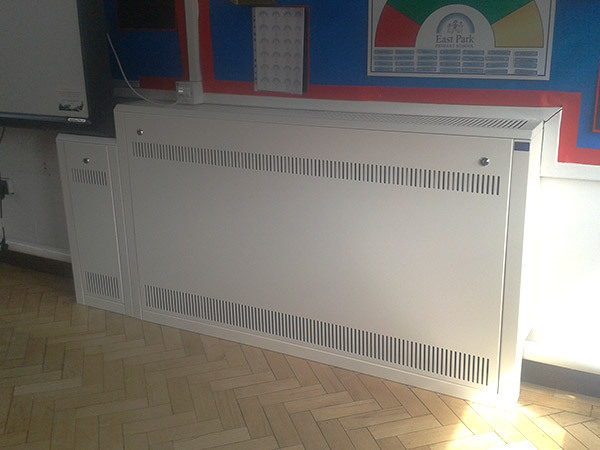 Having been independently tested, the LST Radiator Guard from Jtech Services makes sure that no one will get hurt from brushing up against the radiator and, because of the design, from getting trapped against it. 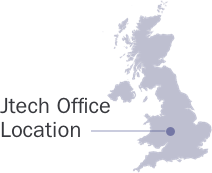 There are of course many other factors alongside care of the buildings users that concern the premises managers. 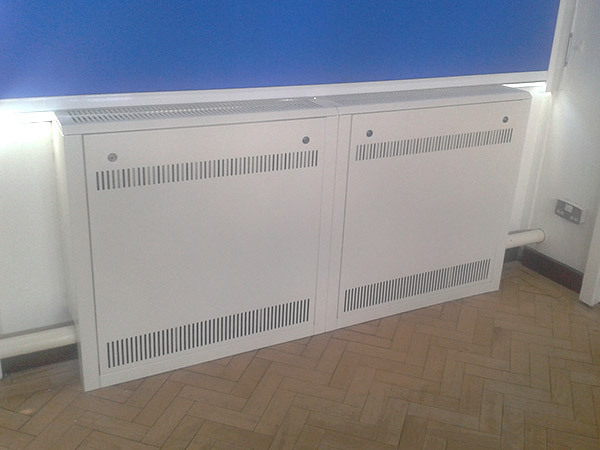 These include the question of loss of heat if a radiator is enclosed, the ease of maintenance by heating engineers and also the method of access for the regular cleaning schedule. The LST Radiator Guards from Jtech Services have addressed all these matters and other besides. During testing any heat loss was minimal and in fact in the field, users said that either no loss is felt or in some cases that the emitter became more efficient! We don’t know about that, but the design does allow for the air flow to circulate around the emitter freely. Maintenance is done via the front opening access door. Once unlocked, the access door is simply lifted out of the way so that work can proceed unhindered. The same is true for cleaning. Authorised access by means of our SKS locking arrangements mean that the cleaners can easily open the door for access. Because we design each guard individually we can make sure that the access door can be removed safely without any weight issues. 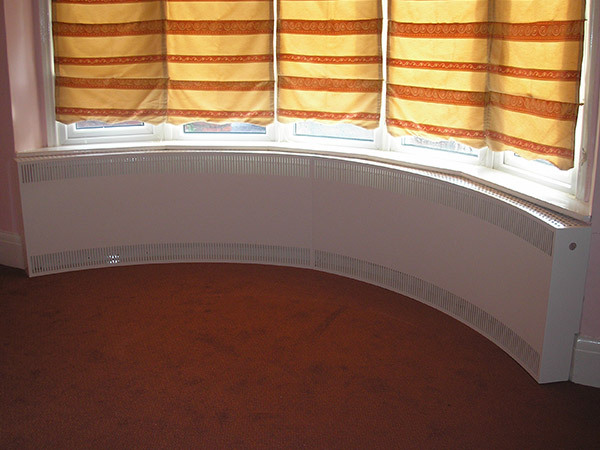 Different applications require different styles and so adjustments to venting pattern, sill shape and edge protection amongst other things can be addressed at the design stage of any enquiry. 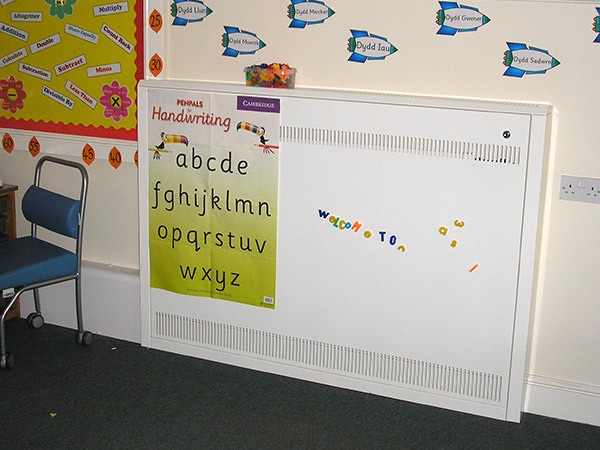 Any colour available in the powder coat range can be used for the finish and to reduce the chances of damage during installation all skirting, dado, electrical socket or pipework cut outs can be put in place for during manufacture, before powder coating takes place. 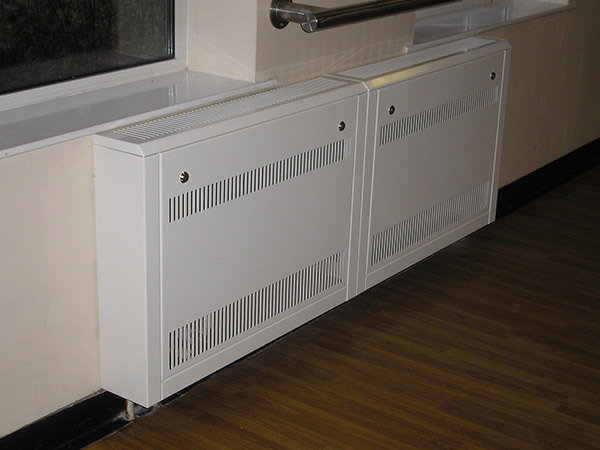 Generally our radiator guards are manufactured from mild steel, but in some areas it is preferred to use aluminium or even stainless steel. A measuring and installation service is also available meaning that you can choose the level of service that you require.